Brooklyn-based bike tourism group Get Up And Ride is hosting this Saturday’s Free Yoga For Cyclists in McCarren Park. Instructor and GUAR VP Lisa Markuson designed the class to “tap into the needs of active, fast-moving, possibly stressed people” in its postures and meditations. 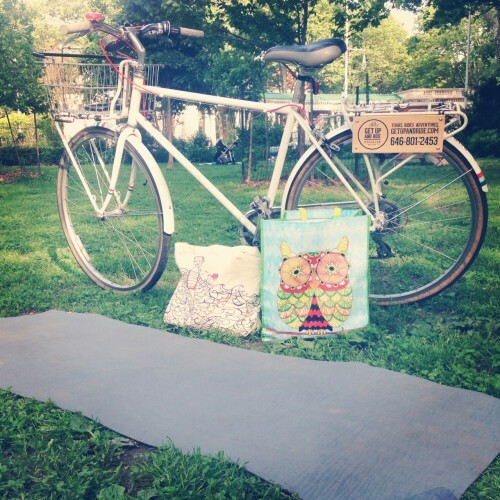 Get on your bike and om.